He has appeared in V-Jump magazine. Namco Bandai has announced, through the latest issue of Japanese magazine V Jump, the development of a new title for Nintendo 3DS Dragon Ball: Dragon Ball: Project Fusion. The game will have a strong RPG component, and will throughout 2016 in Japan. 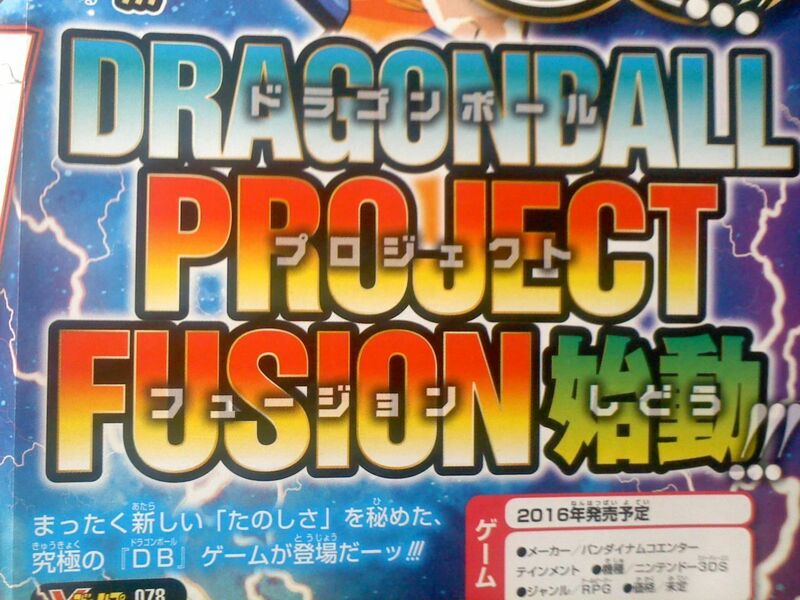 Another disclosed few details on this new Dragon Ball: Project Fusion, corresponds to the promise that we will enjoy a new control system and mechanical, which could allow the characters to merge to suit the player. 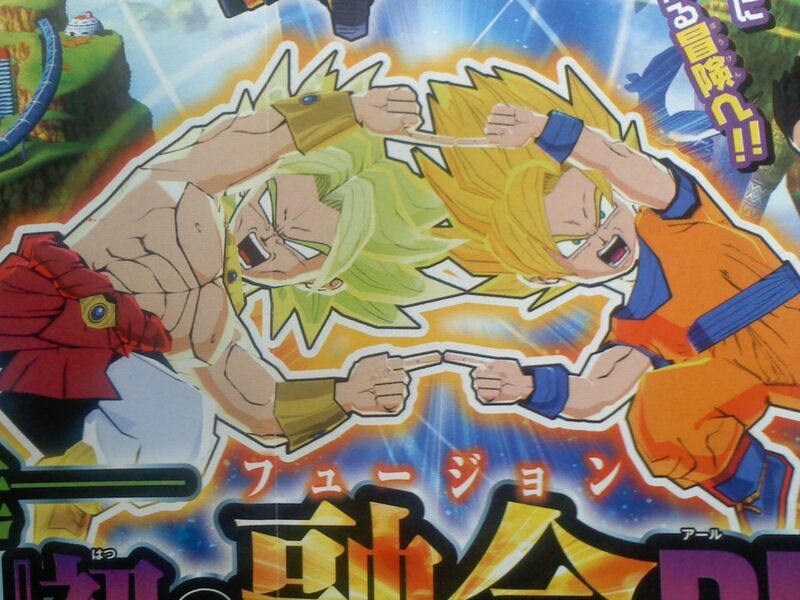 In fact, the magazine shows Goku and Broly trying to merge into a new warrior in the prior art. We leave you with two catches taken from the magazine to illustrate the news.